Fuzzy, Intuitionistic Fuzzy, What Next? 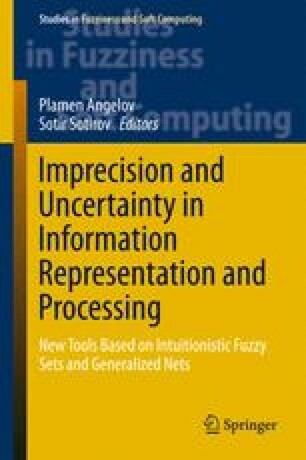 In the 1980s, Krassimir Atanassov proposed an important generalization of fuzzy sets, fuzzy logic, and fuzzy techniques—intuitionistic fuzzy approach, which provides a more accurate description of expert knowledge. In this paper, we describe a natural way how the main ideas behind the intuitionistic fuzzy approach can be expanded even further, towards an even more accurate description of experts’ knowledge. This work was supported in part by the National Science Foundation grants HRD-0734825, HRD-124212, and DUE-0926721.